An individual’s genetic make-up forms what is known as the genome. The human genome is made up of nearly 20,000 genes. 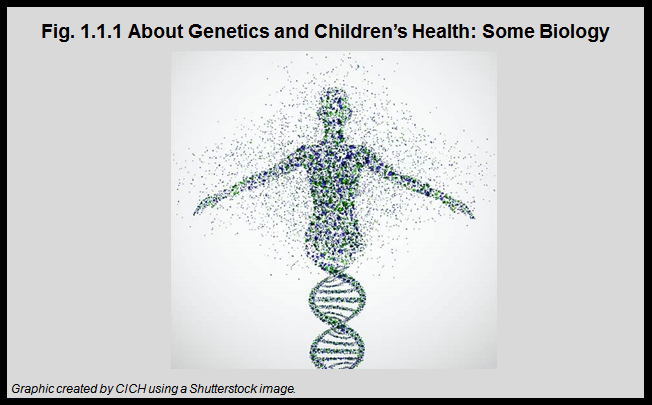 Though specific genes control specific parts of human development and health, they are grouped together into physical structures called chromosomes and are located in the nucleus of each cell. Humans have 23 pairs of chromosomes, so every individual has two copies of every gene and a child receives one copy of each gene from each parent. A gene is made of deoxyribonucleic acid (DNA), which is the genetic instruction manual.